Warehousing and e-fulfilment provider Clipper Logistics Group has implemented the PRIAM multi-channel business system to their logistics offering. Clipper Logistics Group is the UK's leading provider of e-fulfilment and retail logistics. It has a turnover of £200m and operates from 27 distribution centres throughout the UK & Europe, with 5.5m sq ft of warehousing space. The implementation of the PRIAM System allows Clipper to offer solutions encompassing an eCommerce platform, call centre, warehousing and fulfilment within a single, fully integrated business system. "Over the past years PRIAM has developed significantly and is demonstrably an excellent fit for some of our clients. By integrating PRIAM into our portfolio of WMS fulfilment systems we can continue to offer tailored services and provide appropriate solutions in terms of functionality, scalability and cost effectiveness." "We are very pleased with the implementation process as PRIAM has demonstrated a level of responsiveness and professionalism to provide their solution quickly and successfully on a 'right first time' basis." "We are delighted that Clipper has chosen the PRIAM fulfilment system. 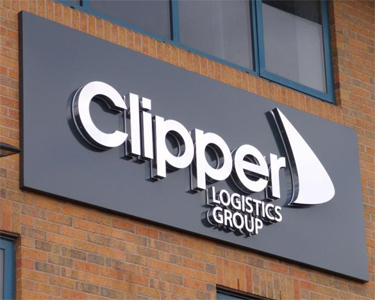 We are looking forward to working with Clipper in the future as a partnership to provide innovative fulfilment solutions for their clients." "Going live with PRIAM will bring major benefits to BCA in terms of increased functionality, real-time processing and a rapid return on investment."